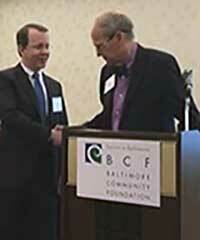 Semmes congratulates Lee Carpenter on his induction into the Professional Advisor Recognition Society by The Baltimore Community Foundation (BCF) For Professional Advisors. The Daily Record has announced that Christina Bolmarcich, a Principal with Semmes, has been named to its list of Maryland’s 2016 Top 100 Women. Just in time for the 2016 presidential campaign, Semmes principal Stan M. Haynes has authored a second book on the history of presidential nominating conventions. “President-Making in the Gilded Age: The Nominating Conventions of 1876-1900”, published by McFarland & Company in November 2015. Semmes extends special congratulations to Cleaveland D. Miller, named “Lawyer of the Year,” for Securities / Capital Markets Law, and to J. Snowden Stanley named “Lawyer of the Year” for Mediation in Best Lawyers in America® 2016. Twenty-three attorneys from Semmes have been named in Baltimore Magazine’s “Maryland Super Lawyers”. All of us at Semmes congratulate these attorneys who have been selected for attaining a high degree of peer recognition and professional achievement in their respective practices.